If you don’t have a will, your house and other property may not all go to your surviving spouse or partner and your family could end up paying substantial amounts of Inheritance Tax. Do you want to decide who inherits your assets when you die? If you don’t have a Will, the decision is out of your hands. 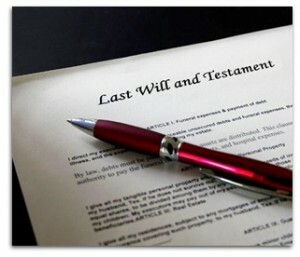 Making a Will is essential if you want to make sure your estate goes to your loved ones. Making a will need not be difficult and we can advise on the best way to ensure that your assets go to the right people and in the most tax efficient way. If you have already made a will, you should review it regularly to make sure it still reflects your current circumstances. For example, if you have got married or entered into a civil partnership, an earlier will won’t be valid. There are lots of “will writers” who offer wills at very low prices but how can you be sure they are getting the Law right? Why trust your family’s inheritance to someone who isn’t legally qualified and isn’t insured if something goes wrong? Our charges for straightforward cases are £400 plus VAT for a single will and £650 plus VAT for wills between couples where you are leaving gifts to a small number of beneficiaries. For more complicated requirements (including the setting up of trusts), we will quote a fee depending on the amount of work likely to be necessary so you won’t get any nasty surprises at the end.